When the skin around the heel develops callus it can often split or crack and become painful. The cracks may also act as a portal for infection which can be very serious in patients with uncontrolled diabetes or poor circulation. 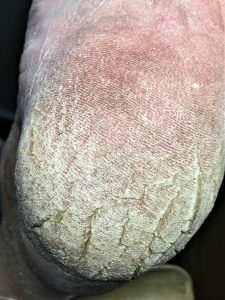 Regular debridement of the heel callus along with podiatric advice is usually all that is required to manage this condition.